We're ushering in March with a colorful writing activity. With temperatures near freezing here in the South, we'll welcome any hope of spring! I've always loved seeing my students' creativity shine when they create similes of their own. 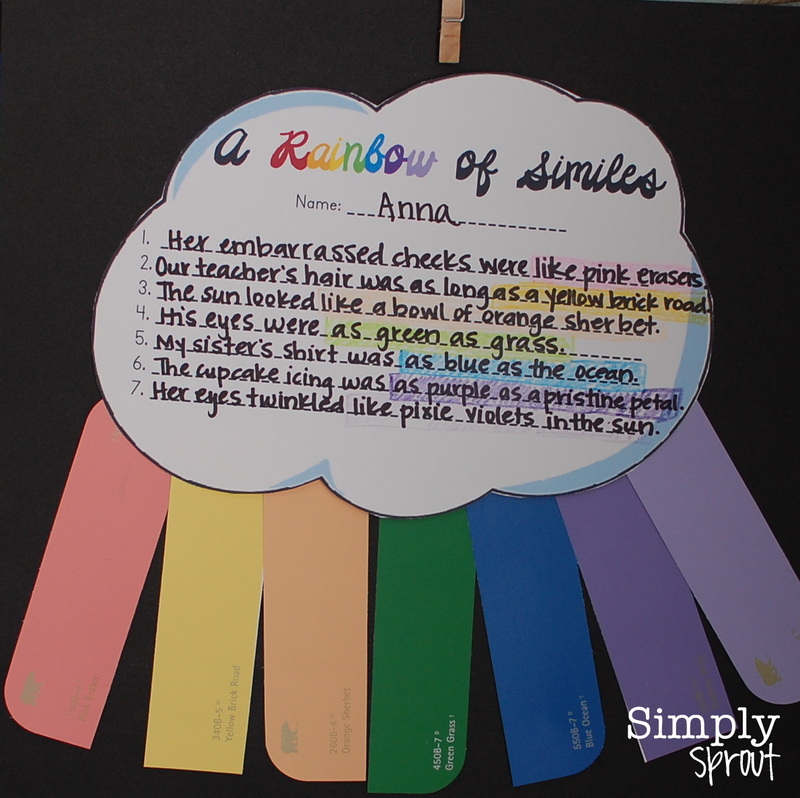 Gather some paint sample strips from your local hardware store and you'll even see your most reluctant writers burst with color. 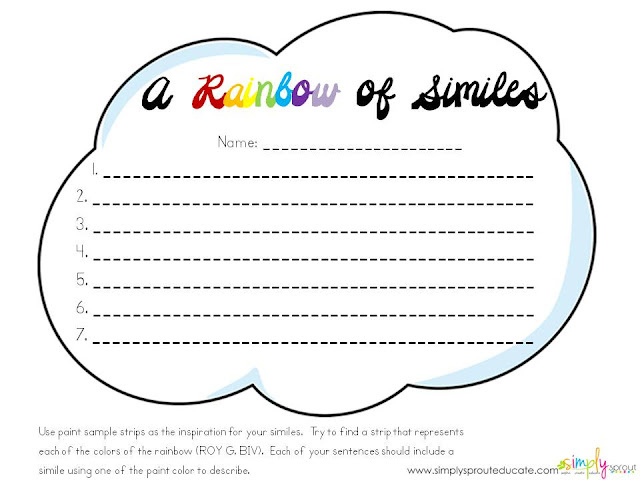 Use the free printable below as your students' writing area. After putting out a variety of paint strips (you might want to thumb through them to make sure they have a some good ones to work with! 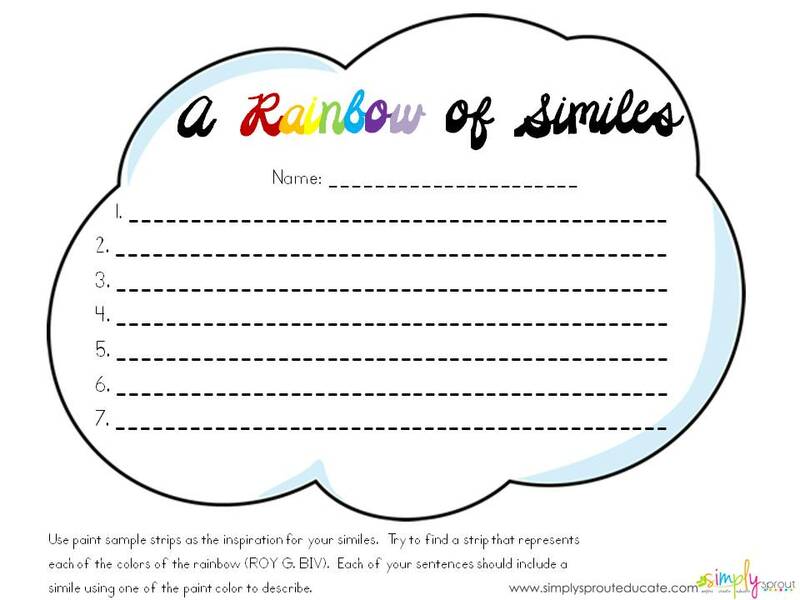 ), have students choose up to seven different colors (try to represent Roy G. Biv). Reminding them that similes use the words "like" and "as" to compare objects. After they've composed their sentences have them shade their similes with the coordinating color.